Why is a Last Will So Important? Amazingly, most Financial Advisors and Estate Planning Attorneys will tell you that approximately 70% of Americans die without creating a Will, also know as a Last Will and Testament. The sad part about this is creating a Last Will is one of the first steps, and also one of the most basic and important pieces of estate planning. 1. We know the large majority of people truly love and care about their families and loved ones. 2. We also know most people would NOT prefer to place any unnecessary burden on their family and loved ones ones during such a time of terrible emotional loss. 1. Encouraging you to becomes proactive about your financial planning, how to plan a funeral, and end of life planning. Regardless of your net worth, age, or even your marital status, we encourage you to sit down and review the many features, benefits, and most importantly, the added value of creating a Last Will or Living Trust with a seasoned Estate Planning Attorney. Why Do You Need a Will? What’s In It For YOU? First it helps protect you against unexpected events such as a disability, incapacity, severe accident, coma, amnesia, etc. Second, should you die, this extremely difficult period can be much less emotional, time-consuming, expensive, and also reduce or eliminate many uncertainties. So the reality is that by properly preparing and planning in advance, creating your estate plan using a Last Will or Living Trust can allow you to leave behind one of the greatest gifts we can give our loved ones. 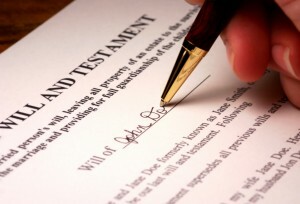 What are the Advantages of a Living Trust Versus a Last Will? Well, although a properly structured Will is something everyone should have, one of the disadvantages that come with using a Last Will is that almost every Last Will is still requires families to experience the disadvantage of probate. Probate is a court supervised procedure by which the court ensures that the assets governed by your Will are valued properly, the debts of your estate are paid off, and the remaining assets are properly distributed to the persons named in your Will. Click here and you can read about some of the many disadvantages of probate, which is extremely important to know and understand. Please Don’t Do This On Your Own…Seek Professional Help! Your estate planning, funeral planning, and end of life planning are all properly coordinated and integrated with the rest of your overall financial plan. Needless to say, the “perfect estate plan” does not happen by chance, but rather through proper planning and preparation. So please do yourself and your loved one’s a huge favor and be proactive and take the first step towards getting started…which means seeking the help of a team of credible financial professionals. By knowing these plans are in place, you will sleep much better at night, knowing you have created this all-important gift for your family!